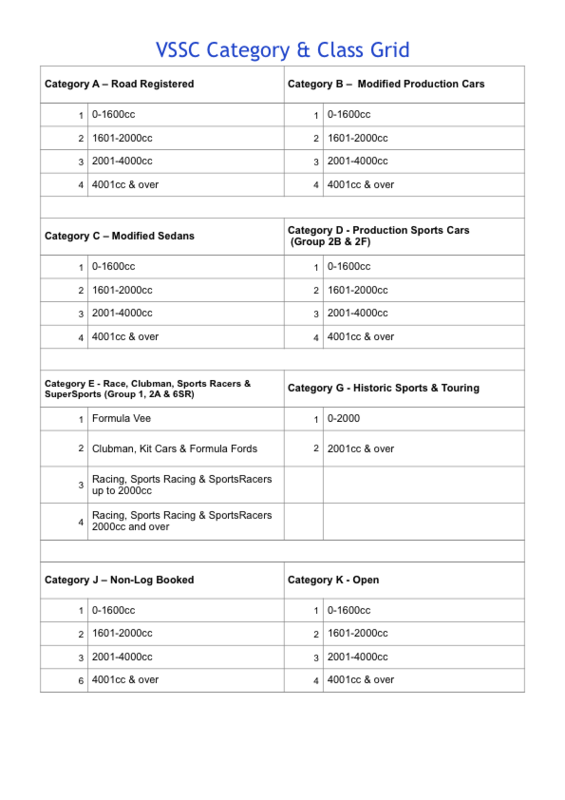 Your car must be classified by Category and Class on the Entry Form. It is the Competitors responsibility to make the correct classification of your vehicle. You will need to know the Category and Class of your vehicle before you can complete the Entry Form. First read the Draft TECHNICAL Regulations and relevant CAMS Regulations. You can also access the information via the ‘How to Enter’ menu above.